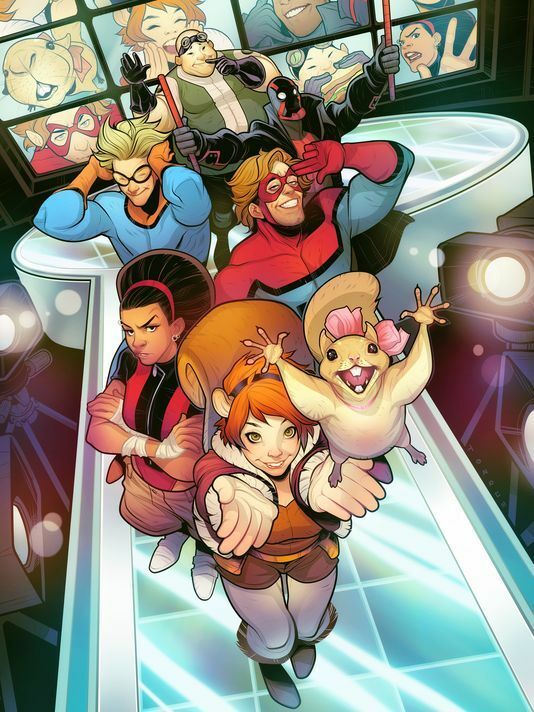 Squirrel Girl has assembled her squad – and not a moment too soon. 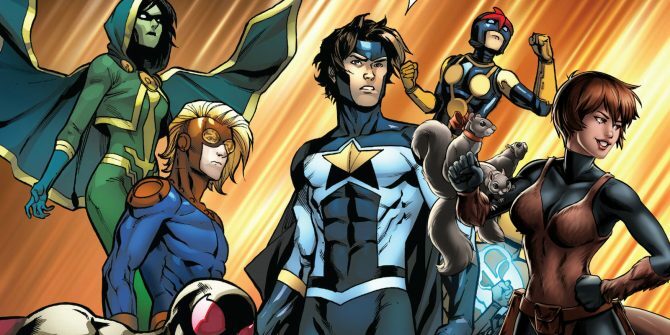 Set to headline Marvel and Freeform’s upcoming New Warriors, USA Today has blown the lid off the half-hour action-comedy series to identify the five costumed crusaders who will be rubbing shoulders with Doreen Green in 2018. Ordered straight to series just over a fortnight ago – it’ll join fellow Marvel show Cloak and Dagger on the network’s burgeoning slate – we know that writer-producer Kevin Biegel (Cougar Town, Scrubs) is attached to pen the script, with the option to serve as showrunner still on the table. As if that wasn’t enough, we also have confirmation of the five crusaders on board for the series: Mister Immortal, Night Thrasher, Speedball, Microbe and Debrii. You’ll be able to find detailed bios for each hero down below, beginning with Doreen Green (AKA Squirrel Girl). A guy whose childhood was spent watching Quinjets take off from Avengers Tower, Speedball has the knack — though maybe not the greatest aim — for tossing kinetic balls of energy. Although immature and impulsive, “Robbie has these noble aspirations, but can’t quite figure out which one to pursue,” Biegel says. Not only is she a low-level telekinetic trickster who has experienced serious personal loss due to the actions of superheroes, Deborah is also a proud, witty lesbian. “It’s not all about ‘Hey, I relate to the show because I want to have a squirrel tail,’ but ‘Hey, this is the story about someone who’s out as a lesbian and maybe it’s not that easy,’” Biegel says. Casting is still underway for Freeform’s New Warriors series, and if Marvel’s handling of Runaways is any indication, the studio will likely announce the full ensemble in one fell swoop. Until such a time as when we have that casting round-up for you to peruse, USA Today also unveiled some artwork of Squirrel Girl and her newfound allies. Check it out below and let us know what you think.